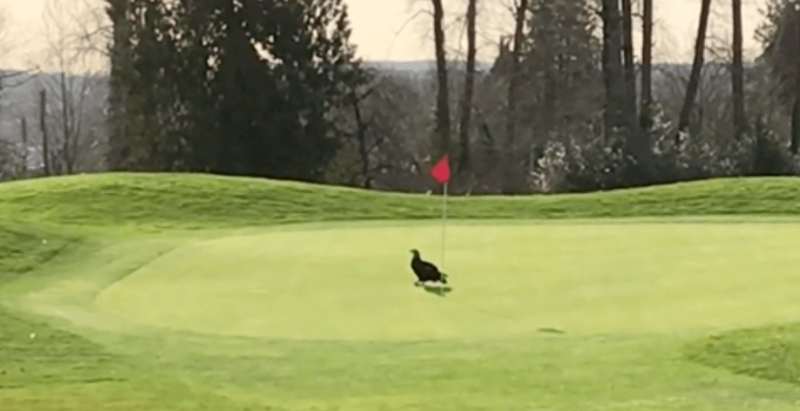 A BC golfer was faced with some serious competition when an eagle took his ball and got a hole in one at Langara Golf Course in Vancouver. While Patrick Gorry was enjoying a sunny day at the course, a bald eagle was eagerly waiting and watching by one of the holes. Gorry’s tee shot rolled inches away from the hole. But the eagle decided to help him out by dropping the ball directly into the hole for him. “Many golfers talk to their golf ball telling it what to do. I just take it to the next level and talk to the animals and get them to do it for me,” Gorry joked, in an emailed statement to Daily Hive. This eagle most definitely deserves a Green Jacket.